Leadership? Headless chickens? Or, herding cats? Brexit has produced “Bercowesque”, my newly coined adjective: an element of circus, combined with hubris, small stature, vacillation and enormous ego; a worthy descriptor of our current parliamentary behaviour. What have we seen demonstrated to us by our elected leaders over the past year or so? Whether you voted for or against Brexit, the debacle that has been in evidence, particularly over the past six months, has been enough to put me off voting ever again. But I guess that would be the same level of abdication evidenced by our MPs and, therefore, beneath the ethical integrity that I bring to my boardrooms and my life. Lucky I am not an MP. It is an interesting conundrum for democratic philosophy, where a collegiate body led by an elected leader collectively accountable to an electorate fails to operate in any way in accordance with that philosophy. You have a Labour and a Conservative leader that are not leading; you have cabinets that are not following; and you have MPs that are not cognisant of the minds of their specific constituencies. It is interesting to pause for thought and consider this in a boardroom context. There are many parallels: a chair, a board, all of whom are elected by the shareholders that they, in law, represent. In my roles on boards I have sometimes found that the chair is not the best leader. However, if the rest of the board pull together that can be of less importance. The common good, the delivery of the board’s duty to its shareholders, is of paramount importance and can be done with a competent chair as long as he or she is supported. We all learn in positions of power that there are some decisions we don’t like, or would not have made, or don’t agree with. However, we have to go along with these decisions as they are the products of a group decision. And, there is always the possibility that you, personally, are wrong. There are also times when the decision being pursued is so beyond your belief that it reflects the best interest of the shareholders that you have to stand down. Note: The best interest of shareholders—not yours (often confused). Have the parliamentarians learnt some bad behaviour from their examinations of the boards of BHS, Tesco, BBC, Barclays and Carillion? Have they learnt how to survive at all costs, evade responsibility for decisions, how to be impossibly confused and, most importantly, how to blame someone else? One parting thought for you all: How much do cameras in the House of Commons have to answer for the current state of things? How confident would we be of our boardroom behaviours if there were cameras present? I would like to suggest that should they be introduced, progress down the Bercowesque route would occur before long. 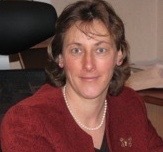 Marie-Louise Clayton is an experienced non-executive director and chair. The managing partner in a global professional services firm recognised the damaging effect new technology would have on his business. Concerned with defending his organisation, the partner and a close group of executives around him expanded their business model by integrating leadership development into their professional services offerings. The idea won applause from outside competitors, but not from within. Against all advice from his colleagues the new strategy was implemented and expensive hires were placed in positions of power above experienced and seasoned insiders. It quickly became evident that the plan was a disaster. Thirty per cent of top performers fled to join the organisation’s competitors and by the end of the first year the firm’s losses were over $800 million. It took another 12 months to finally oust the offending executive, and the reputation of the firm has still not recovered. This type of true story is becoming increasingly commonplace and is reflective of a ‘Brexit-style’ approach to realising competitive advantage and gaining an edge in the marketplace. Our ongoing research into top teams and boards shows that 34 per cent of senior management do not align behind any single strategy or vision. Instead internal strife, disruption and the decline of the enterprise has become the all-too-depressing norm. Additionally, 67% of board members daren’t raise these uncomfortable issues. While all those at the top are familiar with the challenges they face and their effects, only a small minority have the resilience and courage to stand up and confront their uncomfortable circumstances. We see these dynamics at play on a daily basis in Parliament, where ministerial statements are over-orchestrated in favour of, or against, the prime minister. Like the professional services firm pursuing a vision without first winning home support, calamity is the looming outcome. How many times have we heard a succession of MPs question why there has been no consensus building from the very start of the Brexit process? If nothing else this would have surfaced the spread of misalignments facing government. With better engagement our nation could have gone to Brussels displaying a relative unity of opinion and pursuing negotiations from a much stronger position. Not having done this, we are now witnessing prominent and capable legislators leaving in frustration to form their own separate group. Similarly, the managing partner of the professional services firm saw his best people leave. In his second year he removed his critics, leaving him isolated and the organisation is now a shadow of its former self. Spend time building your home platform, even in the face of being accused of slow and indecisive decision-making. If necessary, remove friends or close associates who encouraged you to pursue a disastrous strategy. Not doing so will simply encourage them to persist rather than risk losing face. For as long as she remains in post the prime minister will have to abandon her early supporters and leave the Conservative Party with deep divisions. The alternative is to steer the country towards a ruinous outcome. Although late in the day, she is at least trying to reach a consensus. Not so with many chairs and CEOs who leave their firms damaged, sometimes beyond repair, and then blame others for their glaring strategic mistakes. The question for Britain and Brexit is what will remain, and what damage will be left behind. 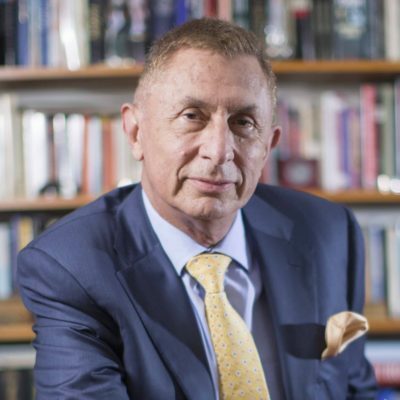 Andrew Kakabadse is professor of governance and leadership at Henley Business School, University of Reading. Successful governance teams know how crucial it is to present a united front to their troops, no matter how lively or aggressive debates might become behind closed doors. While not directing critical comment towards the prime minister, which seems very fashionable at the moment, the resulting confusion and outcomes around Brexit are indicative of a disjointed board whose individual members have forgotten what a “boardroom handshake” is. Many of us are familiar with the adrenaline rush and passionate energy with which we fight for our staff in the boardroom. However, it is always understood that once the team exits the room, everyone sticks to the agreed script and ensures that no cracks appear for those who rely on our stability and leadership. The Brexit boardroom has not achieved this. It is easy to blame this on the leader, but if individual agendas have become more of a priority than country or company objectives, then difficulties will arise for any leader’s ability to align mutinous efforts, disguised as scrutinous action. If leaders have to keep turning inwards to address individual agendas, then they are automatically weakened in their ability to address the outward challenge. The Brexit debacle has surfaced a number of sentiments, not least the question of who is willing to abide by boardroom rules. Of course, there should be scrutiny, and plenty of it, but when this turns to mutiny it becomes impossible to convince those being governed that you have their best interests at heart. Uncertainty over Brexit has been critically worsened by the fact that the board cannot agree and perform its executive duties. Hypocrisy veiled as democracy does not just malign the targeted leader. It also misaligns the constructive, outward-facing efforts that are necessary to achieve high performance. Instead, it leaves a destructive uncertainty, championed by those focused on short-term survivalist goals. The “boardroom handshake” is an essential means to achieving performance. It requires compromise as a mature plurality is expected from those entrusted to be board members. The alternative is a selfish singularity, which weakens the potential strength of a united governance team and the structures and staff beneath it. 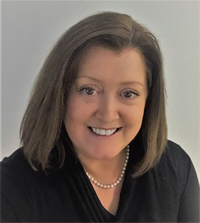 Dr Linda Lee-Davies is head of programmes—leadership and change at Regent’s University London. In watching the Brexit nightmare play out on our TV and digital screens each day, the chaos that is taking place within the House of Commons reminds me very much of a boardroom in which the board team have fundamentally lost their way and are overseeing severe destruction in shareholder value. Imagine the parallels of a company board team where you have various board directors who are representing a number of institutional funds, and the funds have a significant number of individual investors. Each board director wears two hats: the first being their legal and fiduciary responsibilities to do what is right in terms of the best interests of all shareholders taken as a whole; and the second being to what is best for their institutional shareholder (and the shareholders whom they represent). This correlates quite closely to the groupings within parliament where the Tory MPs, Labour MPs, DUP etc. have two hats: the first representing their constituency and membership, the second being the overall good of the British people taken as a whole (and irrespective of how they voted in the referendum). Theresa May, as the Tory leader, is the CEO on this board, and has a key responsibility in leading the overall board team to navigate through the Brexit crisis. Unfortunately, while the speaker of the house fulfils some of the technical functions of a board chair, there is no effective board chair that could play a vital role in building bridges and consensus across the multiple shareholders. Company boards have often encountered an existential crisis where different board directors initially prioritise the selfish interests of the shareholder or investment group they represent, and the board can descend into a chaotic mess which, if not dealt with, either ends up in a very contentious shareholder vote or a legal mire. This is where an outstanding board chair can excel in terms of reminding each board director of the fundamental legal and fiduciary responsibility to do the right thing in terms of the best interests of all shareholders, taken as a whole, and working with all the various groups to build consensus. This then leads to a pragmatic solution that while not really satisfactory for any individual shareholder grouping, represents the best decision for all the shareholders as a whole. Without the benefit of a strong board chair, Theresa May as CEO has fundamentally struggled to build this consensus. I also believe that the current debacle of how the British parliament is mishandling Brexit would not have been replicated in many other western European parliaments (e.g. Nordics) and parliaments such as Australia and New Zealand, where the opposing parties would have worked together properly for the overall good of their people. The House of Commons today is analogous to a deeply dysfunctional board where, in the midst of one of the greatest crises in recent times, its 66 million shareholders are being let down by an abject failure in true leadership and prioritising their fiduciary and legal responsibilities to their collective shareholders. This is a fundamental lesson for any board team—with board members representing multiple shareholders—of the critical importance of appropriately balancing your director and shareholder hats, ensuring that at a time of crisis, all board members need to do the right thing when the decisive moment arrives. 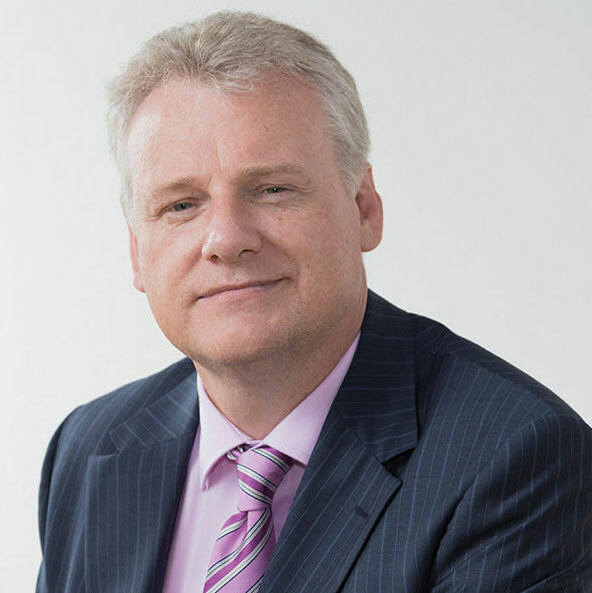 Kieran Moynihan is managing partner at Board Excellence. Rising claims against employers for noise-induced hearing loss prompts review. Dutch banking group ING has withdrawn plans to give its chief executive a 50% pay rise because of opposition from customers, employees and other stakeholders. Businesses perform better when they have at least one female executive on the board, according to a study of companies in the UK, US and India by accountancy firm Grant Thornton.